APPROX.� 2.50 TO 3.50 INCHES. APPROX. 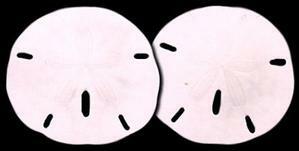 .25 TO .75 INCHES.....NICE CRAFT SAND DOLLAR!........ 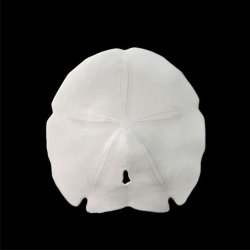 (SMALL ROUND SAND DOLLAR WITH FLOWER ON FRONT). (HAS NO HOLES). APPROX. 1 TO 1.50 INCHES...... 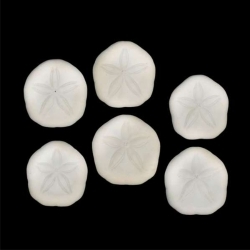 RECEIVE (1) SAND DOLLAR PER NUMBER ORDERED. APPROX.�� 1.50 TO 2 INCHES. APPROX. 2 TO 3 INCHES. SHELL READS:�THE SANDDOLLAR ONE OF NATURES MOST UNUSUAL SHELLS, THE FIVE SLITS IN THE SHELL REPRESENT THE FIVE WOUNDS IN THE BODY OF CHRIST. 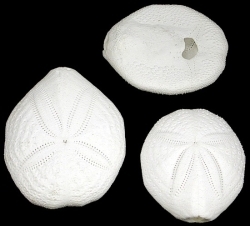 THE EASTER LILY DISIGN HAS, IN ITS CENTER,� FIVE POINTED STAR, THE STAR OF BETHLEHEM. ON ITS BACK IS THE OUTLINE OF THE POINSETTIA, THE CHRISTMAS FLOWER. 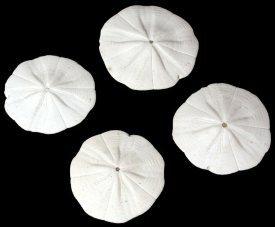 WHEN THE SHELL IS BROKEN OPEN FIVE PERFECT REPLICAS OF A DOVE ARE FOUND. THESE ARE THE�DOVES OF PEACE. 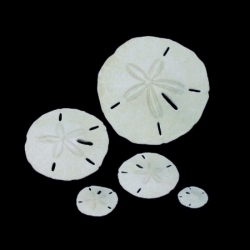 EACH POEM CARD (3.50 X 5 INCHES) HAS THE SAND DOLLAR POEM (SHOWN BELOW AS PRINTED ON CARD), AND ONE REAL SAND DOLLAR WRAPPED IN PLASTIC. (2 TO 2.50 INCHES). 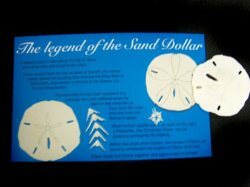 (THE DOVES & (2) SAND DOLLARS ARE PRINTED ON THE POEM CARD). 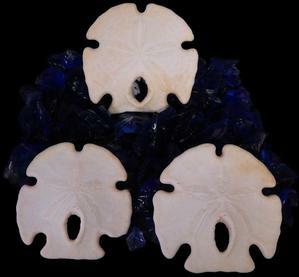 A legend grand is told about the life of Jesus throughout this odd shaped sea shell. When viewed from the top as seen at the left, the center plainly shows the Guiding Star that led the Wise Men to Bethlehem. Also shown in the top is the Easter Lily for His Resurrection. 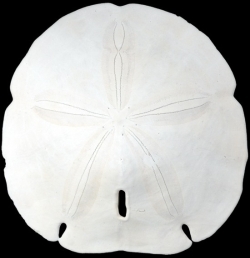 The five holes in this shell represent the wounds our Lord suffered when he died on the cross for us. Four from the nails and one from the Roman's spear. When turned upside down, as seen on the right, a Poinsettia, the Christmas flower, can be detected portraying His Nativity. 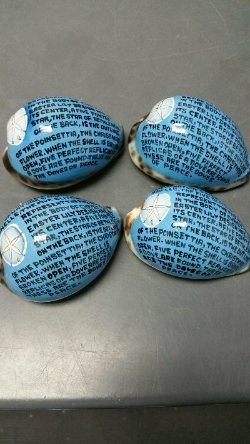 Within this shell when broken, five Doves of Peace are found to emphasize the legend of Peace and Love. Place these five Doves together and again a star is formed. 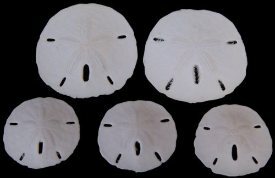 ALL SAND DOLLARS ARE FOR CRAFT OR DECOR USE ONLY. NOT FOR USE IN FISH TANKS OR TO GET WET.